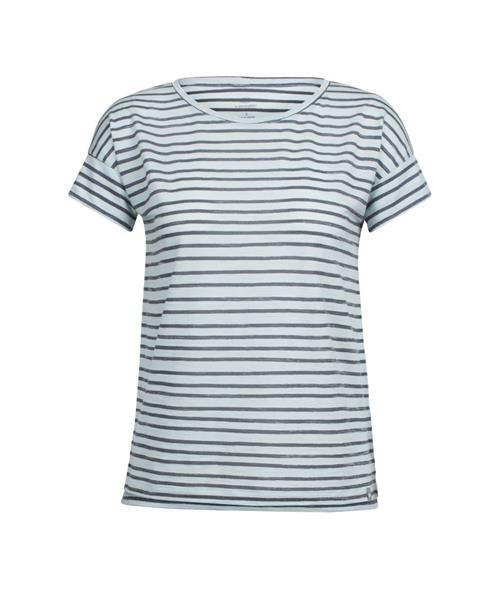 With a relaxed, modern drape and the durable softness of Icebreaker's ultralight merino jersey fabric, the Aria Short Sleeve Scoop Pulled Lines provides the reliable comfort of your favorite tee with a soft and stylish scoop-neck design. They added a touch of nylon for added durability, and the dolman sleeves with dropped arm holes add to this top’s easy-wearing feel. The side-split bottom hem allows for care-free range of motion.